Clarity Essential Oil Blend diluted in Massage Base (ready to apply). Be good to yourself and let this mind-awakening blend work its holistic magic on body, mind and spirit. 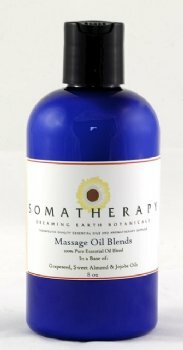 Premixed in our Massage Base so you can use it directly from the bottle for a soothing and spiritually uplifting massage or add a cap full to a warm bath. A blend of 100% pure Essential Oils: Basil, Bergamot, Grapefruit and Lavender in our Massage Base (a combination of Sweet Almond, Grapeseed & Jojoba oils).